UCLA’s graduate students rank academically among the top in the country. Here are a few of the faces you’re likely to see around campus. Having grown up in South Los Angeles, an underserved, mostly African-American community, Sheppard is no stranger to the lack of trust in healthcare and lack of awareness about chronic conditions that prevail in impoverished areas. He understands that lives are lost all the time because of these attitudes, and he is determined to do something about it. Thanks to a remarkable gift from a visionary donor, Sheppard’s dream to become one of a new generation of doctors who actively seek to connect the way they practice medicine to the needs of the community can come true—without his ever having to pay for medical school. The David Geffen Medical Scholarships, created by a historic gift of $100 million by entertainment mogul and philanthropist David Geffen, pay for the medical education of the best students entering UCLA’s medical school each year. These merit-based scholarships, based on the simple idea that the cost of a world-class medical education should not deter our future innovators, doctors and scientists from the path they hope to pursue, cover full tuition, room and board, and books and supplies for all students who qualify. Jaclyn attended Bryn Mawr College where she enrolled in the AB/MA program, giving her the opportunity to earn her bachelor’s and master’s degrees in mathematics simultaneously. As a senior year at Bryn Mawr, Jaclyn won a Churchill Fellowship which allowed for her to study mathematics at the University of Cambridge the year following graduation. 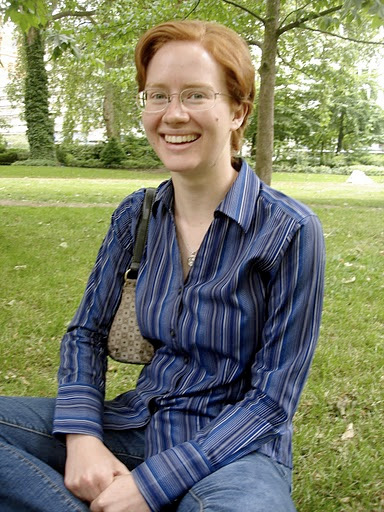 “I enrolled in a program at Cambridge known as ‘Part III’ of the mathematical tripos which attracts young mathematicians from all over the world.” At Cambridge she took many courses in algebra and number theory, but her favorite course was an introduction to elliptic curves. Writing an essay about 2-descent on hyper-elliptic curves gave her some experience working with geometric objects over local fields. “This is something which has come up frequently in my research at UCLA,” says Jaclyn. Jaclyn decided to pursue her PhD at UCLA because the Math Department’s number theory group gave her the opportunity to engage in exciting research through studying with some of the top professors in the field. Though Jaclyn’s experiences at Bryn Mawr and Cambridge convinced her that she wanted to study number theory, she found that the topics of interest to the UCLA number theory group were fairly different from what she had encountered previously. “It took me some time to learn about modular forms, Galois representations, and the web of conjectures associated with these objects, but I now find these problems fascinating and beautiful.” Jaclyn is currently working on determining the image of certain Galois representations that were defined by her advisor, Professor Haruzo Hida, in the 1980s. “I did a reading course with Professor Hida during the spring of my second year in which I read some of Hartshorne’s Algebraic Geometry. Via this reading course I got to know Professor Hida better and decided I wanted to work with him.” Jaclyn’s work generalizes that of Ribet and Momose who determined the image of certain classical Galois representation in the 1970s and 1980s. Her work is expected to have a rather surprising application to congruences between modular forms.